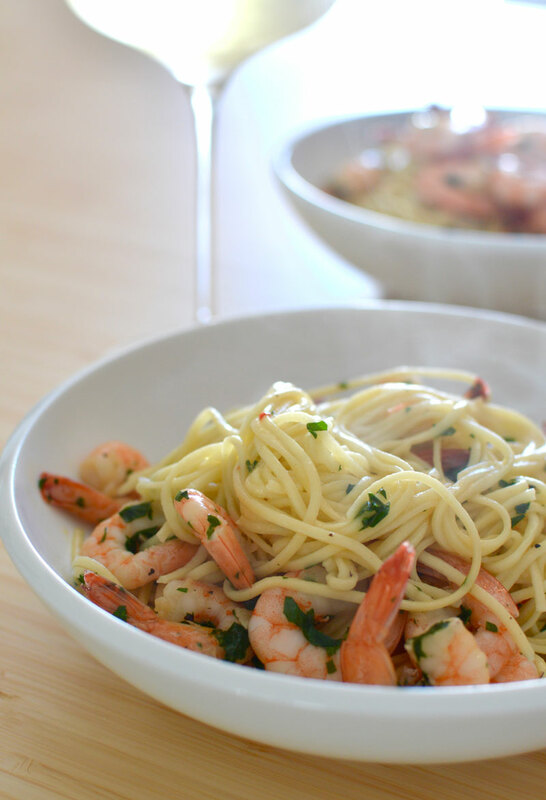 With such a simple pasta dish, your wine pairing options are almost endless. To bring out the sweetness in the prawns, I suggest a light Vinho Verde – these fresh, dry whites are the perfect match for seafood! 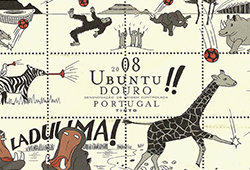 Try the Niepoort, Docil Loureiro 2016 which the Wine Advocate describes as ‘terrific, tightly wound and very focused, with laser-like precision’ or the Anselmo Mendes, Muros Antigos Escolha 2016 which is ‘beautifully constructed, transparent, bright and crisp… a perfect Loureiro to drink this summer’. If you would like to try this pasta with a glass of red, pair it with a Pinot Noir but look for one with fleshy fruit and good acidity. 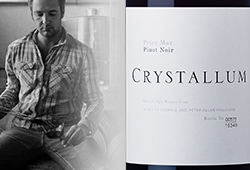 The Crystallum, Peter Max Pinot Noir 2017 or the Radford Dale, Freedom Pinot Noir 2015 would be absolutely delicious! To make the pasta, place the flour on a board or in a mixing bowl. Make a well in the centre and crack the eggs into it. Gently beat the eggs with a fork until smooth. Then, using your fingers, slowly mix the flour on the sides of the well into the eggs. Once all the flour is combined, knead the dough pieces together into a smooth ball. It is important to knead the dough thoroughly to develop the gluten in the flour. Once your pasta dough is smooth and lump-free, wrap it in cling wrap and let it rest overnight or for at least 30 minutes in the fridge. To roll out the pasta, dust your work surface with some more flour and divide the pasta dough into 4 pieces. Flatten the first piece with your hand before feeding it through the widest setting on your pasta machine. Move your pasta machine down a setting and roll the pasta dough through it again. Fold the pasta sheet in half and roll it through the machine’s widest setting once again. Repeat this process about 4 times to work the pasta dough. Once your dough is smooth and silky, roll it out properly by working through all the settings on your machine down to the 2nd or 3rd narrowest. Your pasta should be the thickness of a piece of card. Dust the pasta sheet with a little flour to prevent it sticking. Lie the sheet on a lightly-floured table cloth and repeat the process with the other 3 dough balls. When you have rolled out all your pasta, you will need to cut it into strips quickly before the sheets dry out. Use your machine’s cutter to turn your sheets into linguine or fold each sheet in two a couple of times and use a sharp knife to cut it into thin strips. Make sure your sheets are floured to prevent them from sticking. Loosen up the strips and spread them out on the floured tablecloth, ready to be popped into your pot of water as soon as it comes to the boil. 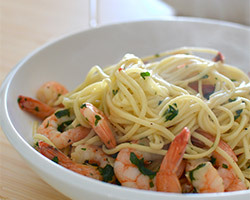 Cook your fresh linguine in a large pot of lightly salted, boiling water until al dente. Drain well, reserving some of the cooking liquid, and return to pot. Pre-heat a heavy-based sauté pan over a medium-high heat. Add the garlic and chilli and cook for 1-2 mins or until fragrant, being careful to not burn the garlic. Pour in the wine and reduce it by half. Drop in the butter and once it’s melted add the prawns. Cook until pink and then toss in your al dente pasta and the reserved cooking water. Finish the dish by stirring in the parsley and seasoning to taste. Serve immediately.